Three two-day workshops for young refugees and young people from Serbia were held in a period from 6 to 21 April in the Human Rights House in Belgrade. The workshops are part of the CoolTour Tube program which is part of the project Support to Refugees and Asylum-Seekers in Serbia supported by the UNHCR. The program encourages communication between young people with different cultural and ethnic backgrounds, through different kind of activities, such as: educational and creative workshops, events, joint actions, research within the communities and creation of an animated film. The aim of the program is development of intercultural community where every young individual is fully integrated and actively involved in social life. Program is based on methods of intercultural learning, youth work and participative art. Main topics of the workshops were: identity, power, cultural democracy, interculturality, stereotypes and prejudices, discrimination, social integration. 14 participants from refugee and local population had an opportunity to explore the topic of interculturality, disccus on different social issues, but also to meet the culture of „Other“, to deconstruct their stereotypes and develop joint actions and events. Additional three two-day workshops will be organised in Obrenovac for youth from that municipality and Reception Centre Obrenovac. The House of Human Rights and Democracy condemns, in the strongest possible terms, the actions of Belgrade police during their securing of the “1 of 5 million” rallies on Saturday and Sunday. Preventing disorder and protecting people and property are the primary tasks of police when it comes to securing public assemblies. Their inadequate assessment of the predictable security risk posed by protesters entering the RTS building, as well as the lack of a timely reaction, contributed to the escalation of violence. Therefore, the subsequent use of force by the police, which participants of the rally have been recorded and published, can be deemed disproportionate. Yesterday we presented our two annual reports: “Human Rights in Serbia 2018” and “The Right to Asylum in the Republic of Serbia 2018”. 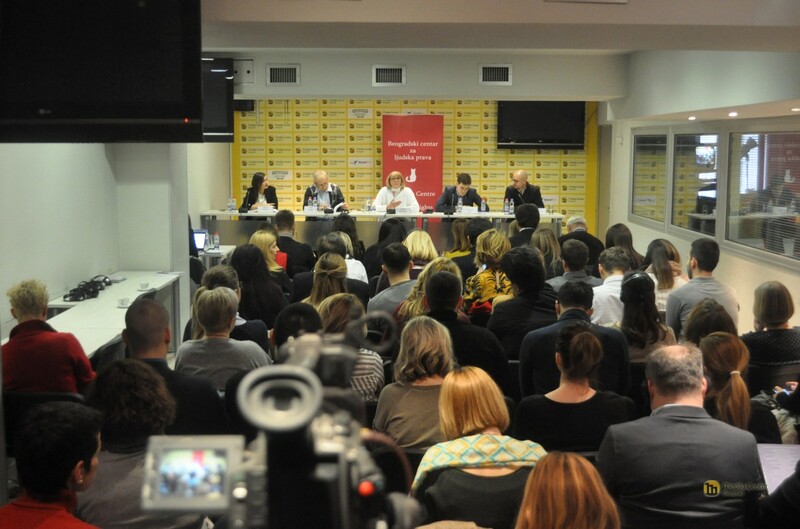 At the first part of the conference, devoted to the general annual report on the state of human rights in Serbia, were presented the most important conclusions in four areas: respect of economic and social rights, respect of the right to privacy, the position of the media in Serbia, and the work of independent institutions. 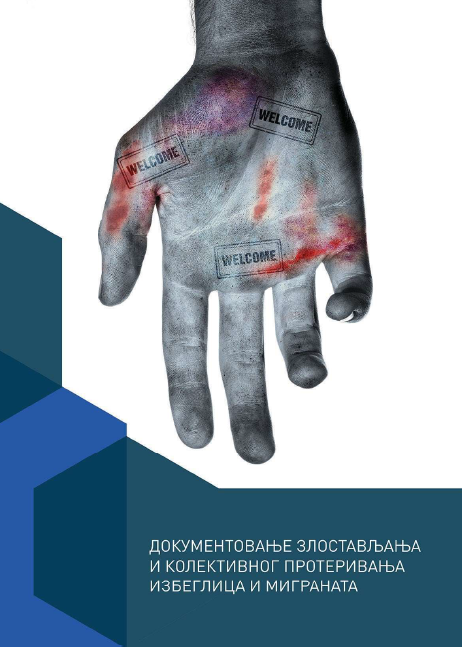 In the second part of the conference, the seventh annual report on the situation in the field of asylum in Serbia was presented. Sonja Tošković, director of the Belgrade Center for Human Rights, pointed out that the most important novelty in the field of migration in 2018 is certainly the adoption and the beginning of the implementation of new laws – the Law on Asylum and Temporary Protection, the Law on Foreigners and the Law on Border Control. The number of allegations on collective expulsions from Hungary and Croatia, often including abuse of refugees and migrants began to rise gradually since the closure of the Western Balkans Route (WBR)1, аnd in particular since summer 2016. Abuse included beatings with rubber batons and fists, slapping, kicking, dog bites, use of tear gas, use of rubber bullets, insults, humiliation and intimidation. According to the data of NGO Humanitarian Centre for Integration and Tolerance (HCIT), 212 cases of collective expulsions from Hungary and Croatia involving more than 4,000 foreigners were registered in the period 1 May 2016 – 31 March 2017.2 The international organization Médecins sans Frontières (MSF) continuously published information related to abuse preceding collective expulsions from Hungary. You can download the report here.. Round table: Inclusion of refuges into education system in the Republic of Serbia. 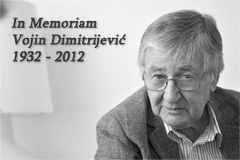 Copyright © 2019 Belgrade Centre for Human Rights - Belgrade Centre for Human Rights.